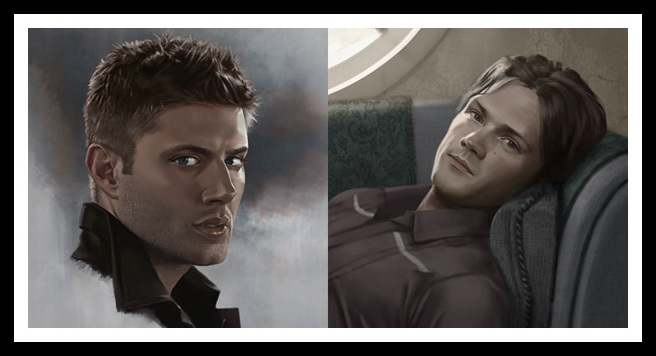 In my travels amongst LiveJournal SPN art communities, I am always happy when a new artist joins. It’s a bit of selfishness on my part because I get to look at their pretty, pretty artwork. So, when new-to-me artist Becc-J came to my notice I was instantly in awe. I’m always drawn to art that is done in softer tones, as I feel like it captures the realism of its subjects more closely — a living, breathing form brought forth from the canvas. Take her piece Monsters Are Real, for example. 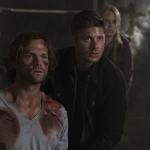 In one piece she’s shown the three characters in their depth: Dean Winchester, a man who fights until he’s bloody and worn out, but in the end he will always look after his brother Sam to his dying day; Sam Winchester, a man who is often charged with the research on the Winchester hunts, but who has longed to escape his destiny first by leaving for college only to be brought back into the fold, and then by trying with all his might to escape his blood-borne mission to serve for evil rather than good; and the infamous Impala, which has served as protector and home for the Winchesters wherever they may travel, and has become a character just as important as any living, breathing human. And a sign of a very successful art piece is when it can tell a story by the items it encapsulates, even in the absence of the characters we have grown to know and love. In her piece The Winchesters, 1989, Becc-J uses elements that the show has touched upon and shows how the combination can easily put you in the middle of a scene. 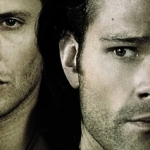 The boys, growing up, were often left alone in motel rooms; Dean charged with keeping his brother safe while their father was off on a hunt. 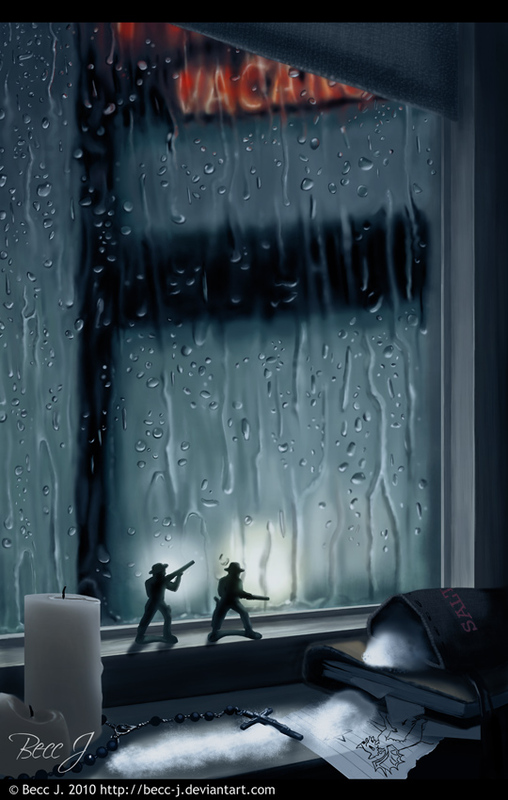 Their elements of protection, such as John’s journal of knowledge, salt to keep out demons, and rosary beads to keep them safe, created the soldiers they became. However, in the midst of all of that, they were still little boys who played with Army men; brothers who loved one another. In the end, that love is what saved the world. 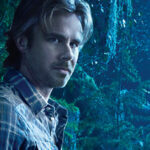 Check out Becc-J’s Deviantart page for more wonderful pieces. I’m particularly fond of This Burning Memory because while the boys are the future, their mission was shaped by John’s determination to get revenge for the loss of his dear Mary. I look forward to seeing more wonderful pieces created by Becc-J. 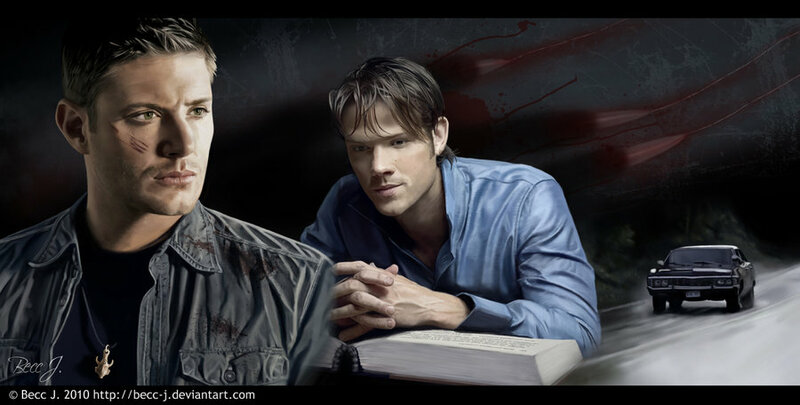 The Winchesters save the world and it is our luck that fan artists can capture that mission so beautifully.